Welcome to the largest French-language reference resource. 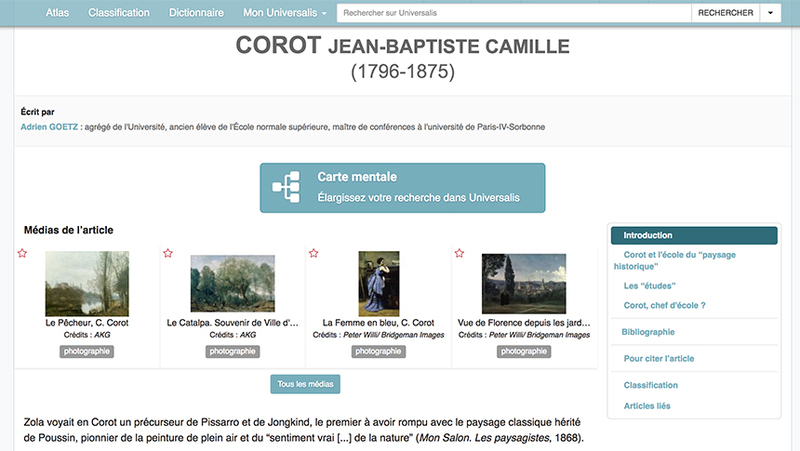 This extensive collection of French-language resources responds to the needs of schools, libraries, students, and anyone doing research. A world atlas, timelines, an integrated dictionary, bibliographies, news and current events, original source documents, and a guide to select Web sites provide valuable support to the research process. A science center explains 11 scientific topics and uses more than 60 multimedia elements to demonstrate important topics. We’ve reserved a Free Trial just for you! Allows life-long learners the opportunity to more easily explore historical figures and events, famous individuals and fictional heroes, cities and countries, plants and animals, technology, and sports. Engage in fun ways to learn. Images, maps, flags, charts, and videos, plus “Did You Know” and “Image of the Day,” are fun ways to interest life-long learners. Bonus tools include “Read Aloud,” Merriam-Webster’s French-English Dictionary, French-language news, and a detailed atlas.